Hugo Barra, Vice President for international markets, has announced that a new software update (v45) for the Xiaomi Redmi 1S has been rolled out in India. According to him, the new OTA (Over the Air) software update will fix heating issues in the Redmi 1S which were reported by a lot of buyers. The software update also increases battery life, thanks to better temperature management. According to Hugo Barra, this new software update also fixes some bugs such as low free RAM availability, UI performance, and UI frame drop issues. “We also received some feedback from users whose devices were suffering from performance issues such as frame rate drops and UI lag. These issues were particularly prevalent during computationally intensive tasks like gaming. The majority of these problems were a result of CPU throttling due to overheating and lack of RAM availability, which the fixes above have addressed. We will continue to monitor user feedback in this particular area.” said Hugo Barra in his Facebook post. If you are a proud owner of the Redmi 1S, check for this software update and let us know if those glaring issues were fixed. 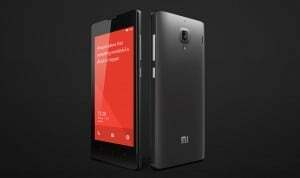 Your feedback and comments will help a lot of Redmi 1S owners. Hi, I have upgraded redme 1s to miui-jhcmibh45, now I each of google app is crashing , unable to launch .